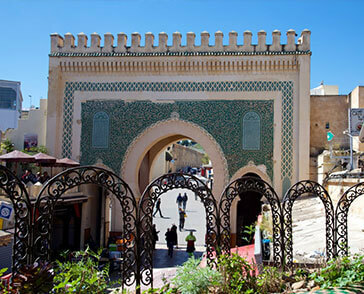 Visit Fez Medina Handicraft Tour (guide & driver). Our luxurious tours agency present a unique Half Day Fes tour to explore this imperial city in an unforgettable adventure, with an professional Team. Through this Half Day tour you will discover the narrow streets of the Old Medina, as well as its great monuments, do not hesitate and join un now. Our professional driver will be waiting for you at your accommodation/ Airport in order to begin an unforgettable journey through tradition, history, culture, and values. One of our stops will be the breath taking mosque and university “Quaraouiyine” that dates back to 860, the first and oldest university in south Africa, it is well known for its outstanding and charming architecture. Afterwards on this half day fes tour, we will proceed to Chouara Tannery to explore the process of preparing and cleaning leather for bags, poufs, and many other artistic pieces. Our Walk will proceed towards the narrow streets, marvelling the ancient architecture that exist in fountains, museums, Minerets, and many more. 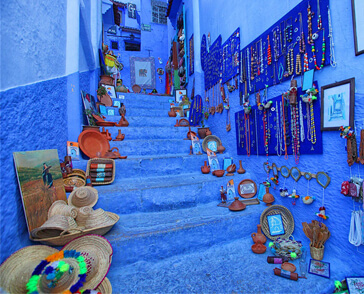 Maybe a Half days fes tour would seem not enough to see everything, but trust us, our guide will make sure you enjoy the real fes Old Medina with its colourful streets and historical interesting stories. This would be the end our Half day Fes tour, to enjoy the main monuments of this city. Our professional driver will take you back to your accommodation or airport. Do not hesitate and book your luxurious half day fes tours for an outstanding holiday.